Take a break … right now! Have you been working online for a while now? Do you feel like you need a break? Need a rest? 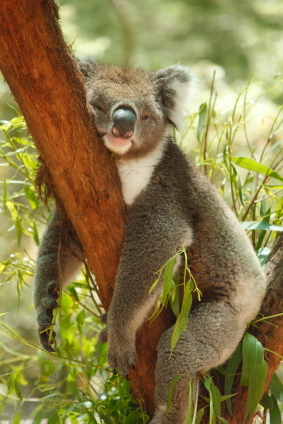 Take a break ... like a Koala. Taking a break doesn’t have to mean taking weeks off to go away on an extravagant holiday. Taking a break can just mean giving yourself a little time every day to have some time to yourself. If you are offering computer-based gigs, then you are probably spending a long time in front of your monitor. Staring at a computer screen all day can lead to headaches, sore eyes, dizziness and overall tiredness. Every 50-60 minutes try to take a 5-10 minute break in which you leave your desk or work area. Whether you go and make a cup of tea or just walk around your house and listen to some music for a while, it reduces the strain on your eyes. Go for a short stroll – a slow walk round the block is enough, don’t turn it into a power walk, this isn’t a race! Make a snack – a healthy option like fruit can give you the energy you need to make it through your next hour of work. Never rush our food, take your time to chew. Go and get a drink – avoiding caffeinated drinks and try warm water instead – it’s good for the digestion and doesn’t make your heart beat ten to the dozen. Listen to some relaxing music – acoustic guitar or gentle sound of the sea will soon have you chilled out to the max. Practice slow breathing techniques – lie down or sit comfortably and inhale through your nose for five, then exhale through your mouth for five. Do this a few times to a get a good rhythm going. Do some stretches – look into using a few yoga positions that will relax you. Simply standing up and reaching towards the ceiling will let you stretch your entire body out. Come on ... do those stretches and relax. Find a quiet place to sit in with no distractions – If you work from home during the day and your kids are at school, anywhere will be relaxing. Try and get away from your office area though, as your brain will automatically associate this space with work and you won’t be able to fully relax. Try one of these relaxation suggestions at a time and make the most of your break. Once you have had a proper rest break, you are sure to have a much more productive day doing your work. Set your alarm to take a break if necessary and allow yourself to work and you will be surprised at how much you can get done! 1 Comment on Take a break … right now! Yes, we have to take some rest and I always listen music when I don’t know which to post in my blog.